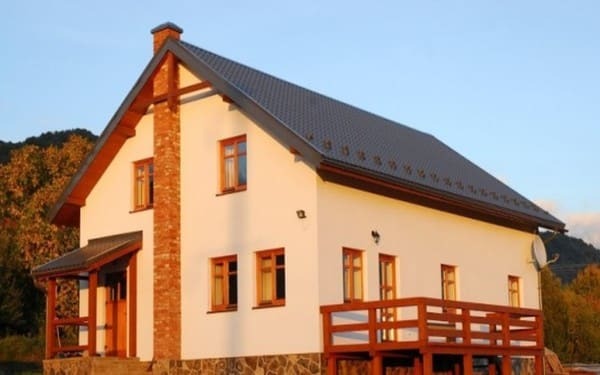 Private estate "Kalinka", located between the villages of Vyshka and Liuta in a picturesque and cozy area with beautiful views of the Carpathian Polonyny. 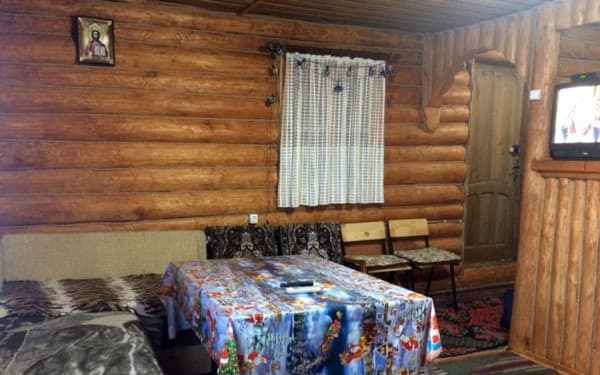 "Kalinka" is an excellent choice for a family holiday or a holiday in the circle of good friends, for those who appreciate tranquility, peace and comfort. The modern design of the manor in combination with the beauty of nature will not leave anyone indifferent, and the price / quality ratio of the estate is reasonable. The hotel has 4 comfortable rooms with free wi-fi access. Each room of the Kalinka Guest House is well furnished and equipped with its own bathroom. 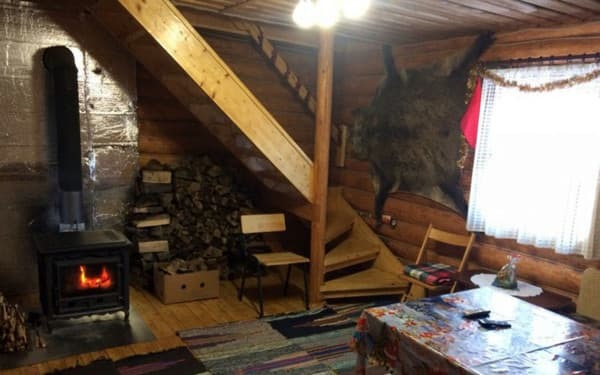 There is a Russian bath, a dining room, which can accommodate 12 people at the same time, a swing in the yard and free parking. The distance to the ski resort "Krasia" is 4.4 km. Description of the room: The room is equipped with a comfortable double bed. Extra bed - mini-sofa is provided. The price includes 2 meals a day. 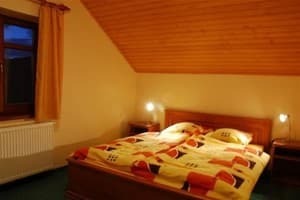 Description of the room: The cottage is equipped with 4 double bedrooms. Extra bed available - mini-sofa. The price includes 2 meals a day. The cost of additional space is 150 UAH. 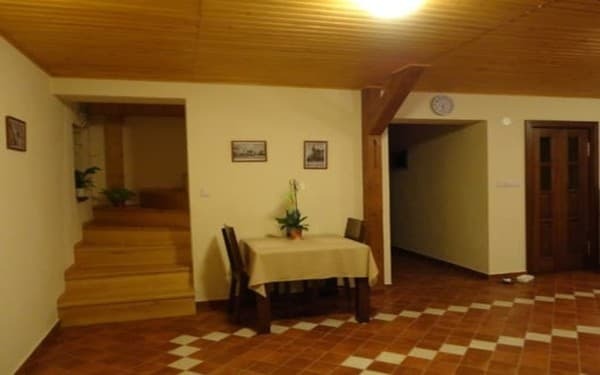 In the estate "Kalinka" there is a dining room where you can eat. The price includes 2 meals a day. 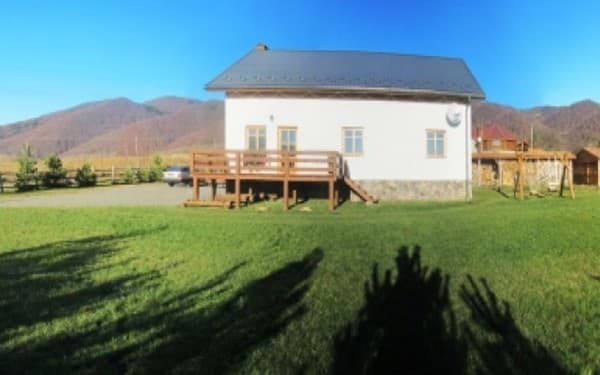 Private estate "Kalinka", located between the villages of Vyshka and Liuta in a picturesque and cozy area with beautiful views of the Carpathian Polonyny. The distance to the ski resort "Krasia" is 4.4 km. The car. From Lviv or through Lviv, the nearest way passes through Turku, but since there is a very bad road and there is a lot of snow in winter, it is better to go through Uzhgorod (the Kiev-Chop highway), then - along the P-39 to the village. Lyuta.